Seller says let's make it happen: Price adjustment and $2,000 upgrade allowance! This deal won't last long! Stop renting and take advantage of one of the best values in Ballantyne! All the shopping, entertainment, dining options, and excellent schools that make Ballantyne one of the most sought-after areas in south Charlotte, right at your back door. Top floor provides privacy, quiet, and lots of light with vaulted ceilings. 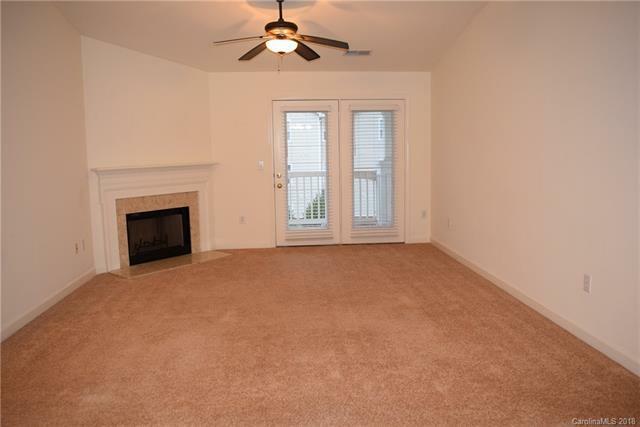 The entry foyer leads to the open family room with fireplace, dining area, and kitchen with bar. The separate laundry room includes a washer and dryer. The private master ensuite includes a walk-in closet and bath with walk-in shower. Second large bedroom has adjacent bathroom and large closet. There is also a separate room ready for an office, exercise room, or media room. This home includes a coveted one-car garage as well as an exclusive parking space. The Copper Ridge community offers two salt-water pools, a fitness center, tennis court, and clubhouse. Offered by Infinity Commercial Real Estate. Copyright 2019 Carolina Multiple Listing Services. All rights reserved.